I have blogged about this reel in the past, but I thought it’d be nice to revisit the railway, as I have recently found it departing my fiddle quite a bit lately. I’ve also heard a new version or two of it since then. Also I should note the tune was written by Junior Crehan. The link below is a reel we learned at the Northeast Concertina Workshop this April 13th in greenfield, MA. (See http://www.buttonbox.com/NCW.html for more info on the workshop!) Not too hard to play, but has a nice sound–like a train pulling out of the station, or if you play it fast, like a train at full steam! Enjoy! WEST CLARE RAILWAY played by Flo Fahy. 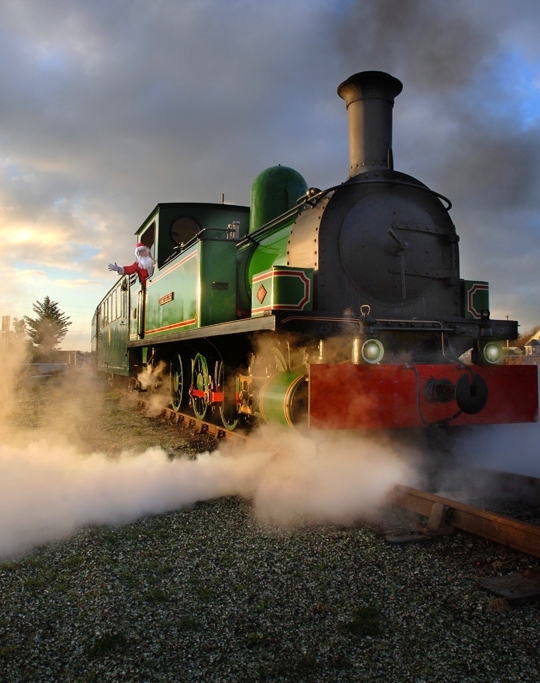 The West Clare Railway (WCR) originally operated in County Clare, Ireland between 1887 and 1961, and has partially re-opened. This 3 ft (914 mm)gauge narrow gauge railway ran from the county town of Ennis, via numerous stopping-points along the West Clare coast to two termini, at Kilrush andKilkee (the routes diverging at Moyasta Junction). The system was the last operating narrow gauge passenger system in Ireland and connected with themainline rail system at Ennis, where a station still stands today for bus and train services to Limerick and Galway. Intermediate stops included Ennistymon, Lahinch and Milltown Malbay. A preservation society maintains a railway museum, and has successfully re-opened a section of the railway as a passenger-carrying heritage line.